Climate change may be the most urgent problem facing humankind. Extreme weather events—heat waves, drought, hurricanes, flooding—are causing loss of life and widespread property destruction. California endured a record-setting fire season in 2017, including the single largest wildfire in state history. That marker has already been surpassed by the Mendocino Fire this year. According to a new report, the number of large fires and amount of land that burns annually in California will rise 50 percent and 77 percent, respectively, by the end of this century. The havoc wreaked on ecosystems and biodiversity around the globe is just as alarming. In the Arctic, a decline in ice cover threatens the entire biome, while in the Pacific Ocean, as much as 90 percent of coral reefs is projected to bleach or degrade by 2050. Farmers are being asked to support an increasing population by growing more food on land that is becoming less arable. Climate-related human conflicts and migration are already observable as regions including the Middle East, the western U.S., and South Africa are seeing demand for fresh water outstripping supply. Scientists say this is just the start of what’s to come, with global temperature rising between 2.5 and ten degrees Fahrenheit in the next 100 years. But it’s not all doom and gloom. Technology can help change the course we’re on, and artificial intelligence (AI) is one avenue that holds huge promise for speeding up innovative solutions. An exciting tech-meets-conservation-science grant program is launching. It aims to capitalize on cloud computing to accelerate and improve conservation science in near-real time. AI and machine learning are transforming conservation work by collecting more precise data, producing faster and more meaningful insights, and accelerating promising solutions. AI is at the heart of an increasing number of important conservation projects. Non-profit Wild Me uses AI to fight extinction using crowd-sourced wildlife images. Other organizations use the technology to enable data-driven farming, make better land-cover maps for precision conservation, and collect mosquito samples for biodiversity studies. These and other AI-powered solutions have improved how we monitor, model, and ultimately manage our planet’s natural systems to bring about a more sustainable future. Biodiversity conservation: protected area management and restoration, sustainable trade, invasive species and disease control, pollution control, and realizing natural capital (including species identification and valuing natural capital). Climate change: climate resilience, extreme weather and climate modeling, sustainable land-use change, and ecosystem services (including carbon sequestration and afforestation/reforestation). Agriculture: land-use planning and management, natural resource conservation, sustainable supply chains, and climate-resilient agriculture. Water: water supply, quality and sanitation, water efficiency, extreme-event management (droughts, floods, disasters, etc. ), and healthy oceans. The grants focus on supporting models and algorithms that are open source and publicly available, so researchers and innovators can quickly build on each other’s findings. They are intended to transform the time-consuming data-collection and number-crunching aspects of research so scientists can stay focused on new discoveries. All these are AI and cloud technology’s power alleys. Biodiversity conservation: acoustic and image classification, geo-temporal distribution models. Climate change: temperature and precipitation model downscaling, risk optimization. Agriculture: health monitoring in crops and livestock, yield modeling. Water: groundwater modeling, flood prediction. If your data science team is interested in applying, check out the Innovation Grant RFP. Winning applicants will get access to advanced AI tools and cloud resources, in addition to financial assistance. The deadline for applications is October 8, 2018. Be sure to visit AI for Earth to learn more about how Microsoft is helping to enable a better future with AI. 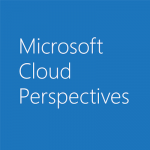 To stay up to date on the latest news about Microsoft’s work in the cloud, bookmark this blog and follow us on Twitter, Facebook, and LinkedIn.